At the time we entered the year of 2018, I would like to express my views on Japan-Turkmenistan relations in coming years. As our two countries marked the 25th anniversary of the establishment of diplomatic relations last year, it might be timely for us to consider how to design our future relations. My main message in this article is that Japan-Turkmenistan relation should be long-standing and mutually reliable one. Therefore, we need to design such relation from the medium and long term point of view, prior to temporary and short term interest or benefit. Fortunately Japan and Turkmenistan have good basis for building up such relation. Since the beginning of my duties in Ashgabat in 2016, I discovered the peoples of our two countries sharing common tradition and national character such as the conservation of traditional culture, respect to ancestors and elder people, hospitality and kindness to others, diligence and modesty in behavior. Even in the music and songs, I was surprised to find similar melodies. Also, we can share the sense of value which has been fostered in our respective history as a peace-loving nation. Let’s turn our eyes to what Japan and Turkmenistan have achieved in recent years and consider what we need to do in coming years. In the past years our cooperation was rather concentrated on the economic and business spheres. The combination of the world’s top level reserve of natural gas of Turkmenistan and leading technology and business expertise of Japan could make great contributions to the development of our economic relations. On-going three big projects of Gas to Gasoline (G-to-G), chemical and fertilizer production plants will be almost completed. New joint projects like a gas turbine thermal power plant are also expected to start. On the other hand, I would like to stress that recently Japan-Turkmenistan relations are entering a new dimension. Following the outcomes of the mutual visits of top leaders of the two countries, our cooperation has been rapidly expanded in many spheres. Only examples are the opening of the Oguzhan Technical University with Japanese curriculum, widely introduced Japanese language as a subject at Turkmen schools, the first ever joint project on earthquake monitoring system in Ashgabat and grass-roots cooperation to the challenged children. I am sure that such wider range of our cooperation provides the peoples of Japan and Turkmenistan with more opportunities for mutual understanding and exchange of a variety of culture. Now we are in the right process of strengthening our bilateral relations comprehensively and steadily. 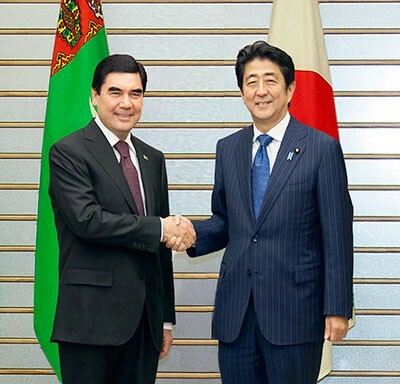 Japan-Turkmenistan cooperation is going beyond the bilateral dimension. We are now working positively at regional and international arena. 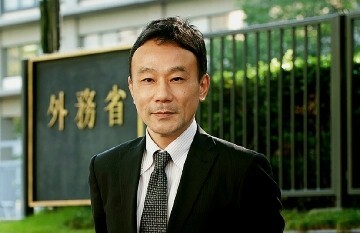 Above all, Prime Minister Abe’s Administration is practicing more commitment and contribution for the global peace-making efforts under the policy of “Proactive Contribution to Peace.” Turkmenistan is also, under the policy of “active neutrality”, playing a positive role in peace-making process of the international fora. This is one of the common fields for the two countries to work together. 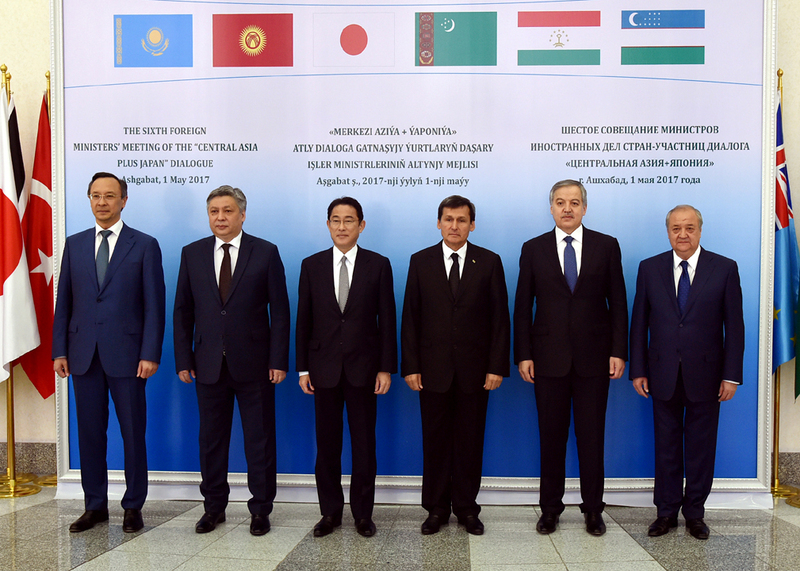 We are also managing regional cooperation through the “Central Asia plus Japan” Dialogue. Last year in May, under the chair of Turkmenistan, the 6th Foreign Ministers’ Meeting of this forum was successfully held in Ashgabat. Foreign Ministers signed a “Joint Statement” covering wide range cooperation and the “Roadmap for Regional Cooperation in Transport and Logistics” was worked out. Now, let me touch upon some points in the context of Japan-Turkmenistan relations in coming years. First is economy. As I explained, large-scale joint projects are continuously under process. However, still there is room for us to push forward our economic relation. During H.E. Prime Minister Abe’s visit to Turkmenistan in 2015, agreements totaling more than 18 billion US dollars in business dealings were signed. At the bilateral summit meeting, H.E. President Berdimuhamedov commented on the raising of the level of economic activity to correspond with the untapped potential amount of trade between the two countries. In order to strengthen our economic relations, it is the priority for us to realize the signed business dealings steadily and constructively. Also in order to consolidate the business environment between the two countries, inter-governmental rule-making efforts like on-going negotiations of a Bilateral Investment Treaty agreement (BITA) should be accelerated. Second, I am of the opinion that “capacity-building” and “people-to-people exchange” should be the pillars of our relations, because every aspect of our relation is owing to the peoples of our countries. In this regard, one of the priorities is the Oguzhan Technical University which is a unique challenge to educate young Turkmen generation with Japanese advanced science and technology curriculum. We need to support the take-off of this long-term capacity-building scheme. 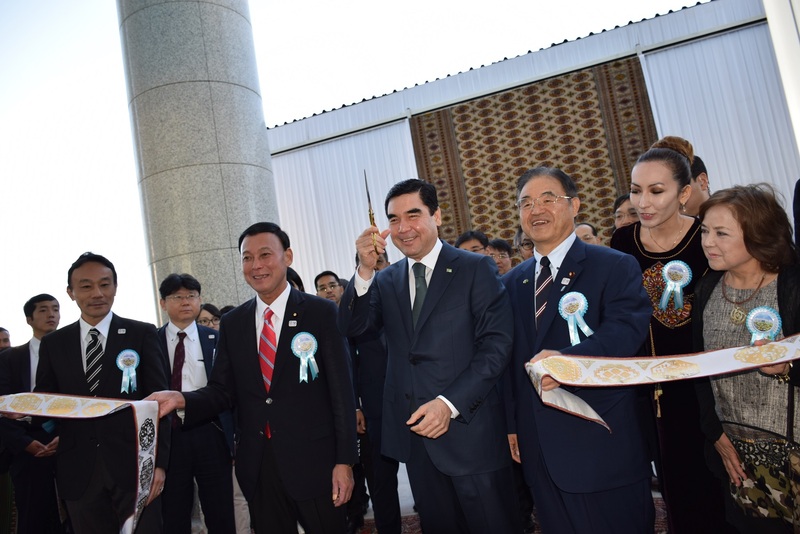 Also, we should make efforts to increase the number of Turkmen young generations visiting Japan. Especially, currently Turkmen students studying in Japan is limited to less than ten people per year. It is urgent to work out necessary measures to facilitate their access to Japan. And recently the Government of Turkmenistan has increased the number of students sent to Japan since last year. “Tourism” is a keyword for our future relations. Japan and Turkmenistan are rich in natural and cultural heritages, but the number of tourists in both directions is too little. Tourism has multi-effects in terms of people-to-people and cultural exchanges, and also economic and commercial impacts. Last year, the number of inbound tourists to Japan recorded almost 30 million and total amount of consumption by all inbound tourists also recorded more than 4 trillion yen (approx. 27 billion US dollars). Why not between Japan and Turkmenistan? I just mentioned some aspects and agenda of our relation, but the actual relation is broader and many people are involved. The development of the inter-state relation can be achieved by the accumulation of long-term efforts of diplomacy and various activities between the people of the two countries. Based upon our predecessors’ efforts in the past 25 year diplomatic relation, it’s time for us to make another page of our bright relation.